During Chrismast break I could do any painting since all of my stuff is in Lublin, so I decided to put together and prepare everything I have to paint after New Years. 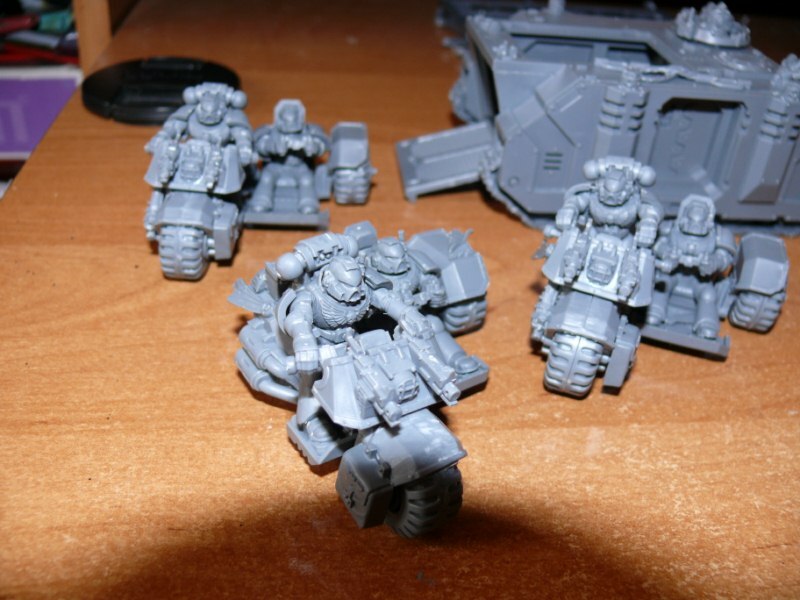 So on the waitig list as mentioned before are Land Raiders, Rhino and Attack Bikes. 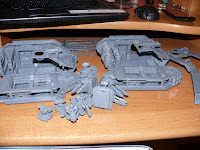 I've already put together both Land Raiders. 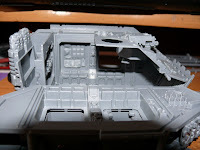 In order to be able to paint the interriors I left one side of hull and top loose. 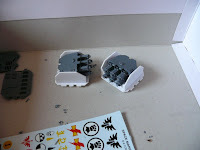 I'll glue them after finishing paintjob on transport compartments. 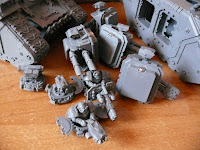 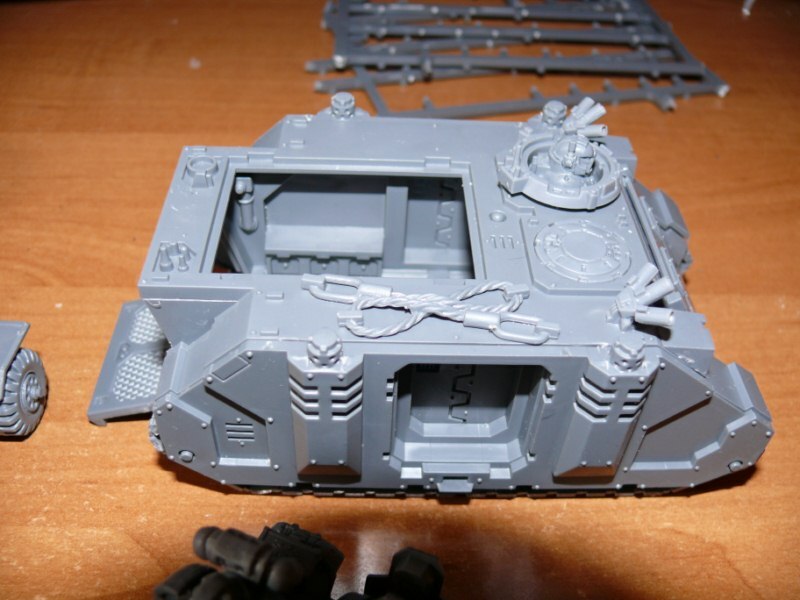 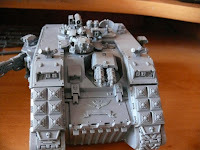 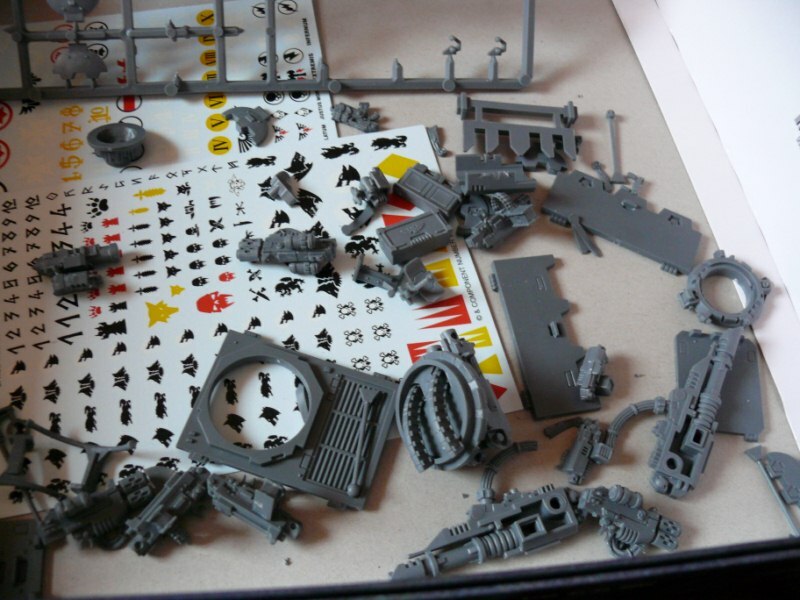 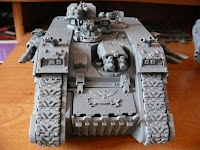 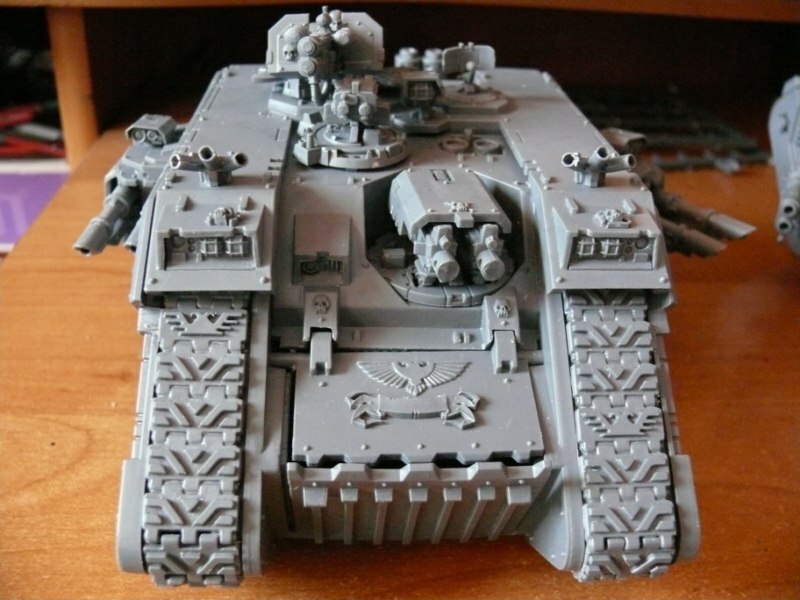 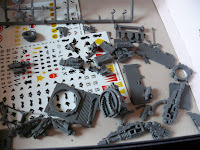 Also as it can be seen in pics, side sponsons with both Lascannons and Flamers are magnetized so they can be changed to fit different rosters. 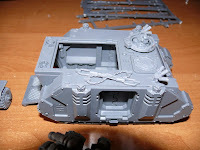 There's third combination of side arms with hurricane bolters, but since there's no more sponson parts I'm forced to improvise and design them from scratch with plasticard, I already got the main shape, now I'll have to work on pole and on some details to make it less plain. As well as side weapons top turrets aren't attached permanently, for the same reason. 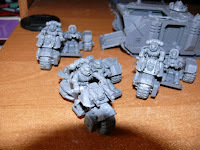 I guess they will arrive after New Year so they will be last one in line.